Cable Trunkings - Elba d.o.o. Browse the complete product line in the Cable trunking catalog in PDF format. 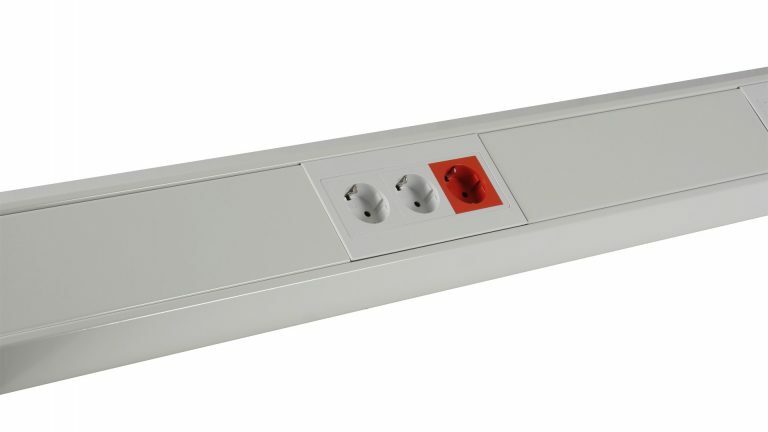 It contains exact dimensions of each trunking type, assembly options and a list of all sockets, connections and accessories. 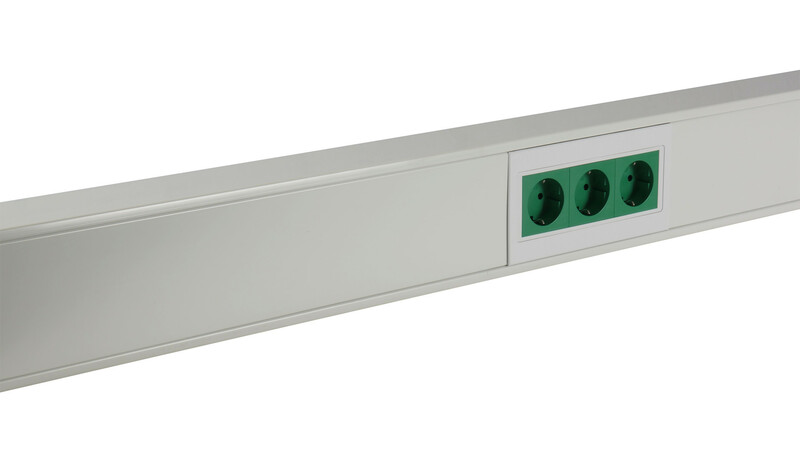 The cable trunking is angular shaped and is available in 15 different dimensions. The standard colours are RAL 9010 and 9006. All other RAL colours are available on demand. Made from anodized aluminium sheet-metal, this cable trunking is available in standard form, asymmetrical and multi-level form. The beautiful natural aluminium finish does not require any coating, nevertheless coating in all RAL colours is available on demand. 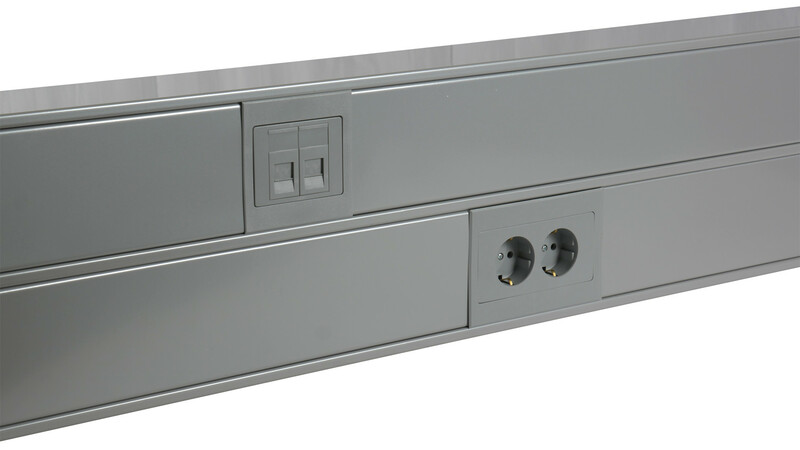 The front cover of the cable trunking type AT-KK is placed asymmetrically to the trunking base. 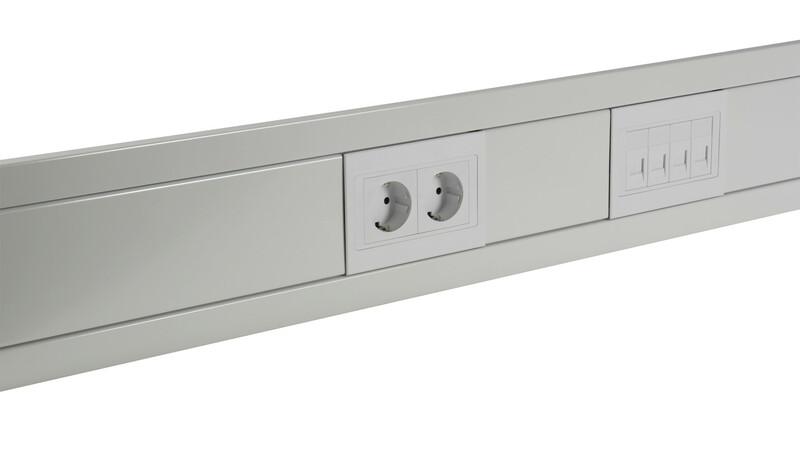 This lifts the position of outlets relative to the floor and at the same time increases the lower compartment. 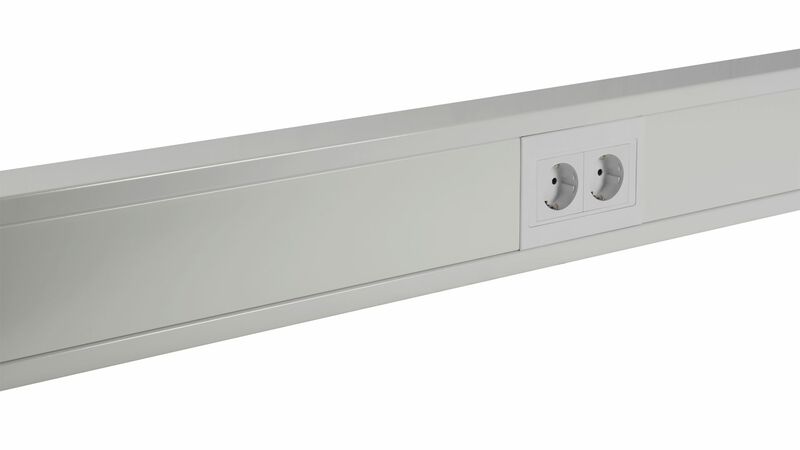 The cable trunking type AT-VK is intended for flush mounting in concrete, brick or plaster walls. The standard colours are RAL 9010 and 9006. All other RAL colours are available on demand. 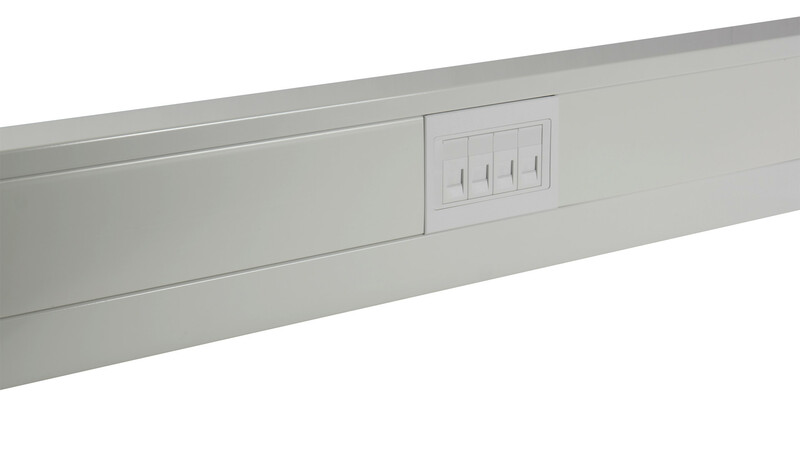 The cable trunking type AT-KK is used where there isn’t enough space between the window shelf and the radiator, or when there is a need to have outlets closer to the floor, as it offers better access to outlets from above. Cable trunking types AT-1D and AT-2D are used for separate energy and communication installations. Type AT-1D has one additional level in a separate trunking, while type AT-2D has two. The cable trunking type AT-EPK is made from plastic. It is available in white colour and in one dimension only. 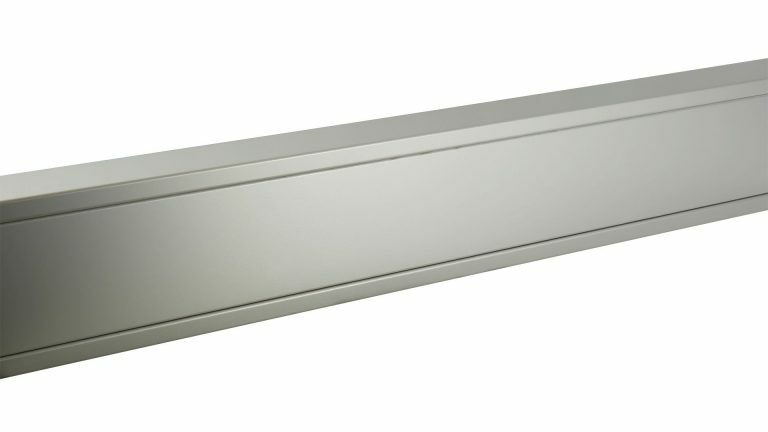 The length of a single trunking base is 2 meters.